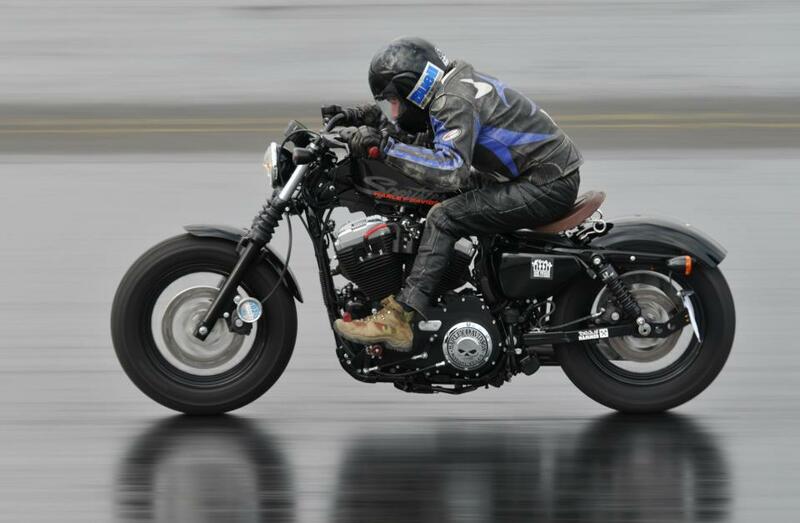 27-2-2012 - This topic will be all about the fastes STOCK Harley Davidson Sportster 48 on the dragstrip, equipped with our stage 1 KIT. The rider is Joe Elliot, who also owns a Harley Davidson Sportster 48. 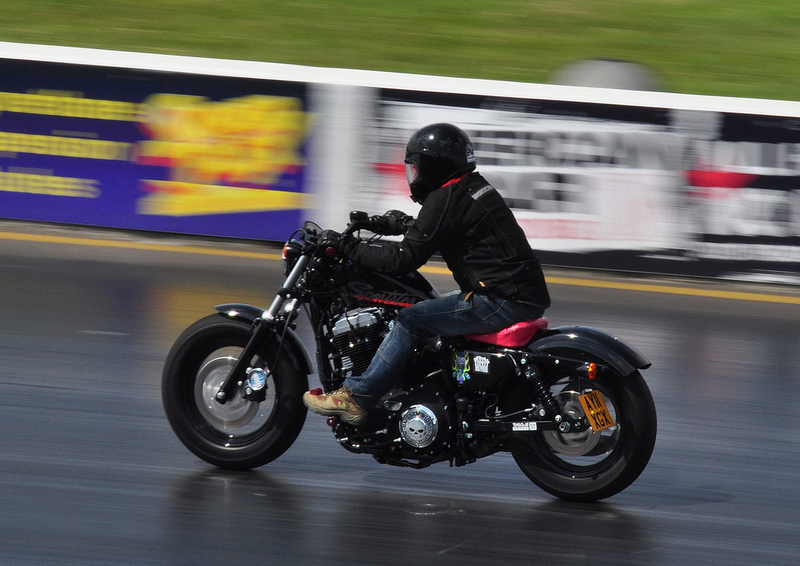 He already set a Time at Santapod Dragway just for fun with that bike and run 12.8et @ 105 mph he also won a trophy in that class. Joe bought our stock stage 1 Kit as we ship it world wide. That is a kit that contains the following parts. In this article, you can found the complete story of the development of our Torque Hammer exhaust system for the Harley Davidson Sportsters. We start working on the Sportster after Buell shut down in 2009, to help the future Sportster rider to have a good running aircooled V-Twin motorcycle. - only a airfilter, exhaust system and tune. Let's wait and see. The bike will be running with the db-killer in, just to show what it is capable of doing in a bone stock trim. This weekend 30th april there is a MOPAR event at Santa Pod. 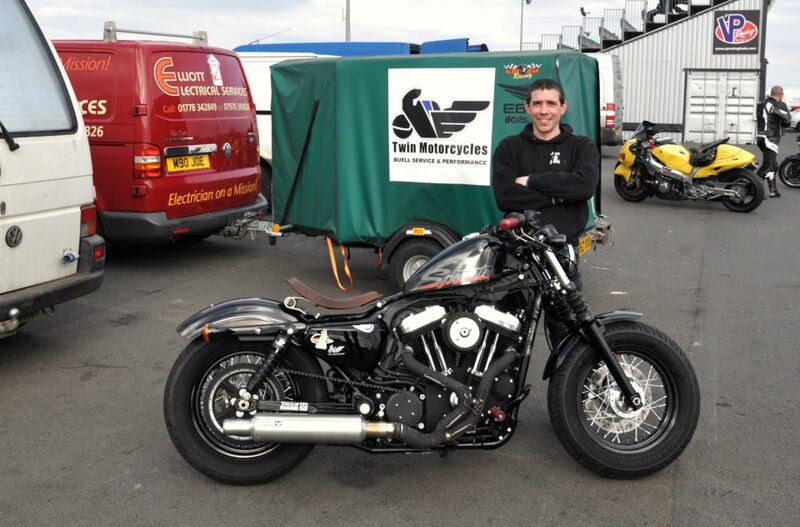 Joe hopes he can try the sportster there. The bike is bone stock only mounted Torque Hammer exhaust system and our famous Tune with open filter, the bike did on the first run today 1.9 60ft, 12.2 seconds on the 1/4 mile with a top speed of 109 miles an hour, perfect first results, 2 personal best in 1 run for Joe with the bike later more news. 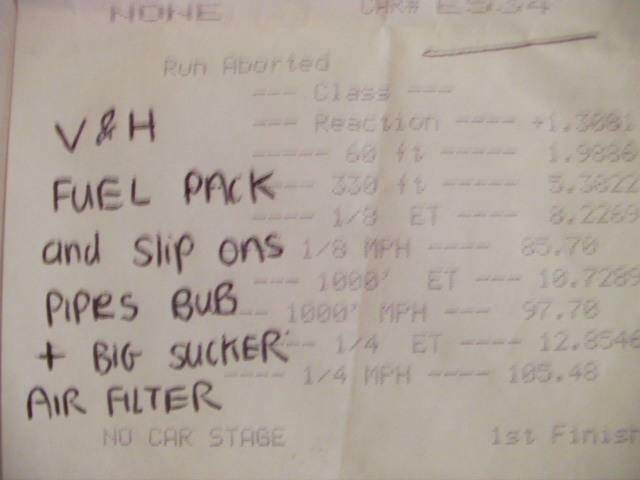 And here is the time slip with the 12.2 run amazing time for a stock Sportser 48 with only a exhaust, filter and Tuned ECM. Today i finaly test the Twin Motorcycles Sportster stage 1 kit, I rode the bike from Home to trhe dragstrip on pump fuel same as last time with the old set up, The conditions were the same a hot day not much air about. The 1st run was a 12.43 et @ 108 mph so a good start. 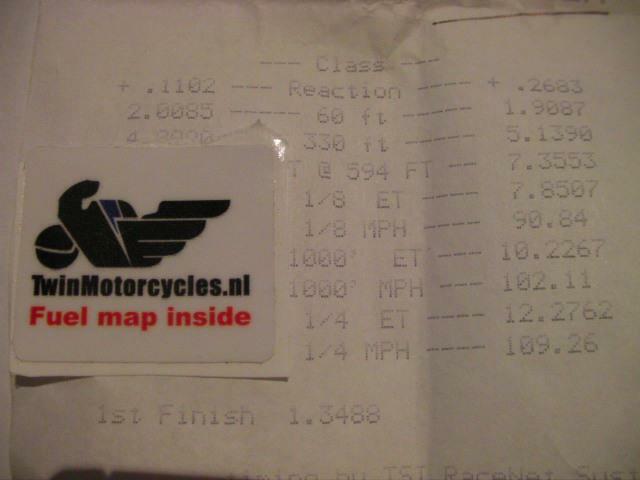 I let the bike cool a little then another go a 12.27 et @ 109 mph very good ,i did a few more runs but all 12.4 et this was the hottest part of the day with poor air, I rode the bike home with no problems i even had the front wheel up on 1 run. I an very pleased with the stage 1 package compaired too the V&H fuel pack which poped and banged and the bub slip on pipes. 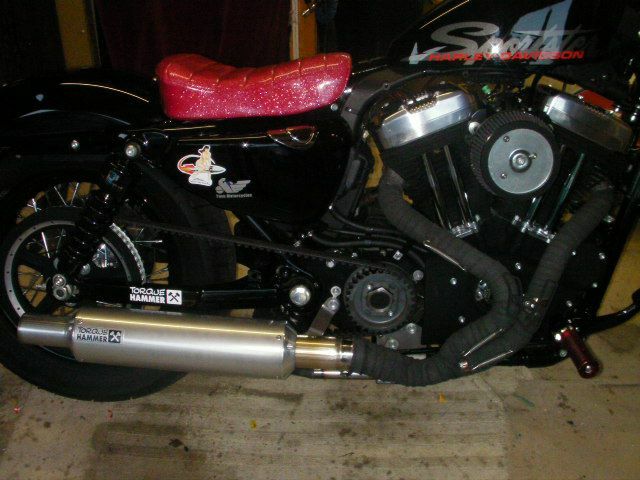 My Sportster 48, runs strong and fast, and i did all the work at home on the bike very easy. This new set up is worth 6 tenths of a second and about 4 mph thats amazing from a fuel map and pipe place your order now worth every £££. After the race Joe took the bike and ride here home. We will keep all progress of the bike in this record stored. At this moment this is the only complete Kit for your Sportster that you can buy in the market with the best performance for you Sportster. It is developed with Mastertune software and makes the bike run very reliable and strong. We cannot find any package in the world that give you from day 1 that you start the bike no more problems. No more jerky feelings, Very good performance, the Best HP and Torque in the market. 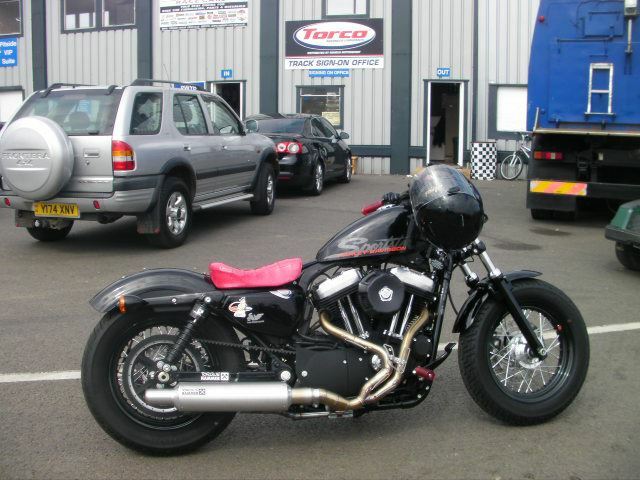 We truly think we developed the best Performance and Tuning stage 1 Kit for your Sportster, that makes you happy from day 1. We have lifetime support on our Fuel products with free ECM updates. 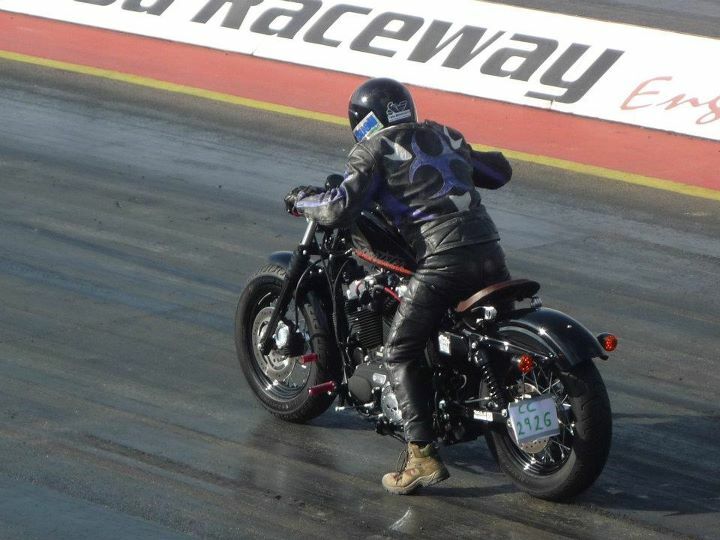 This weekend Joe run another world record on a Sportster 48 with a stock engine and our Torque Hammer 2-1 exhaust with our Tune. He managed to run a 12.15 on the 1/4 mile. Congrats Joe.